Want to sleep in? 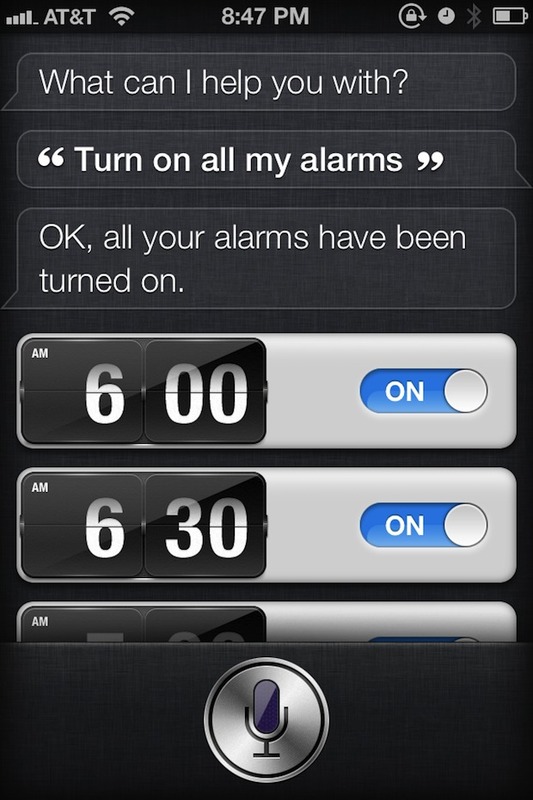 You can quickly turn off all your alarms on the iPhone by telling Siri simply to “turn off all alarms“, Siri will then confirm the alarm change plus show you the alarm settings. Oversleeping due to Siri likely won’t be a valid excuse to get out of school or work for the day, so it’s best to save this one for the weekend. This little tip was sent in by Jeff S by way of FinerThingsIn, thanks for sending this in. Where did those little flip clocks come from…?